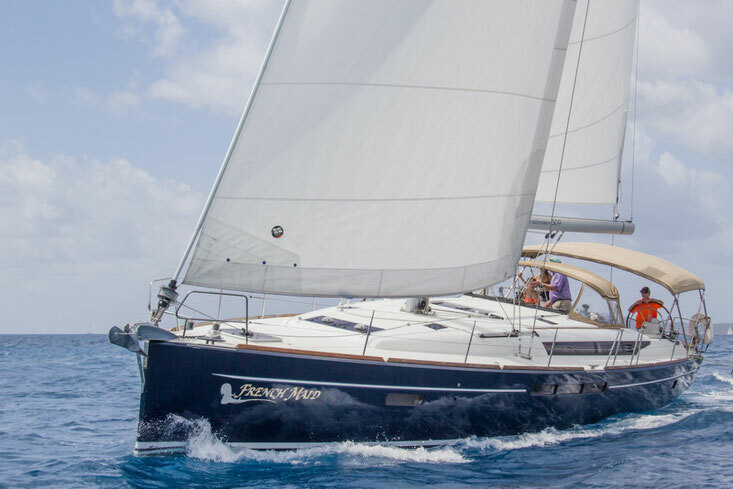 Since 1995, Jeanneau French shipyard is part of the group Beneteau, but leads an independent technical policy, releasing sailing and motor yachts under several own brands. Today Jeanneau is one of the largest shipyards in the world. The yachts of this brand make up a significant part of the world's charter fleet. It is considered that Jeanneau yachts are slightly higher in quality and technological stuff than those of the Beneteau family. The company Jeanneau was born in 1957 - its creator, Henri Jeannot, who was fond of cars and airplanes before, discovered a new passion for motorboats. He built a racing boat in a wooden case, which he won in the 6-hour Paris race. The victory provoked him, and he opened the case. A year later, the first fiberglass boat was built at the shipyard. In 1964, the company began to build sailing boats, and since then the shipyard has developed equally in both directions. Since 1980, the company began experimenting with kevlar hulls and actively participated in races (Formula 1, Formula 3000, Niamey-Bemako rally), and in 1982 became the exclusive supplier of the Tour de France sailing. In 1985, the first sailing catamaran Lagoon was born. Then again there were victories in motorboat racing, and in 1987 one of the boats Jeanneau set a speed record of -170.21 km / h. In 1989, the company launched the Prestige luxury motor yacht brand. In the model range of the company are four sailing yachts - Sun Fast cruise racing (Andrieu Yacht Design), Sun Odyssey cruise yachts with Mediterranean cockpit, Sun Odyssey DS (Deck Saloon) cruise yachts, luxury Jeanneau cruise yachts. The last three lines are designed by Philippe Briand. In the Jeanneau motor family, yachts up to 50 feet in length are open Leader high-speed cruisers, NC open and closed cruisers, Velasco flybridge, small low-cost open boats with a Cap Camarat outboard and low-cost open-board boats, also equipped with an outboard engine - Merry Fisher and Merry Fisher Marlin.